Switch up your usual beach-cabin routine this summer with a stay in a completely different type of property. These 10 summer rentals give you a chance to wake up in places you never expected, from a shipping container in Seattle to an ancient cave in Italy. And all but two are affordable, running about $200 or less per night. What We Love: Here's your chance to add "upcycle" to your reduce/reuse/recycle routine. 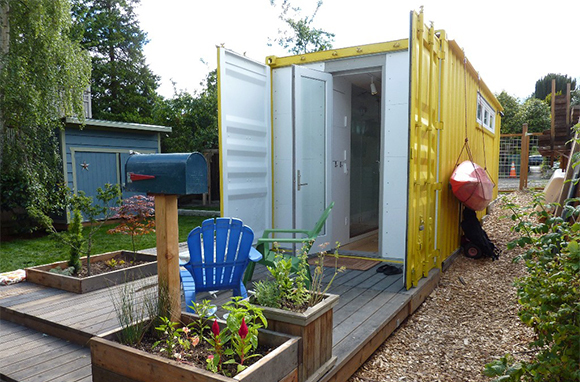 Before this shipping container, "Big Yellow," housed Seattle visitors in the owner's backyard just north of Seattle, it transported pineapples around Hawaii. Modern furnishings and a smart layout maximize the space, making it appear larger than you'd imagine. There's a queen bed, a kitchen, a full glass-enclosed bathroom that doubles as a shower, and an outdoor patio that opens onto the backyard, where guests can help themselves to the plums, pears, grapes, and raspberries growing there. Great in Summer: It rains much less during summer here, so you can take stunning panoramic photos from the Space Needle. The shipping-container guesthouse is between Green Lake and Lake Union, both great spots for paddleboarding and kayaking. The Bumbershoot festival on Labor Day weekend brings together more than 2,500 visual and performing artists. Seafair in July features parades, air shows, and boat racing. 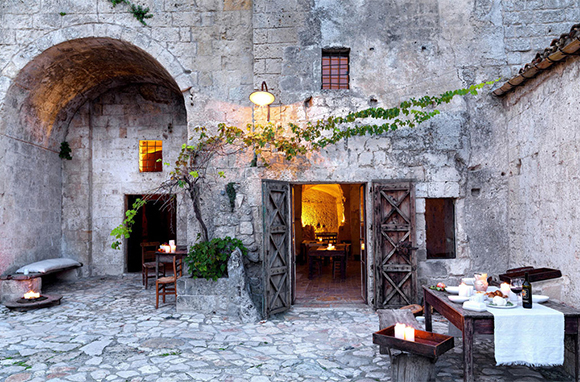 What We Love: When you step inside Sextantio Grotte della Civita, you can't help but sense the history of the cave dwellings and imagine yourself living here in prehistoric times. Cobblestone pathways lead between grottoes in a city that still looks ancient and has served as a backdrop for several biblical films, including Mel Gibson's The Passion of the Christ. 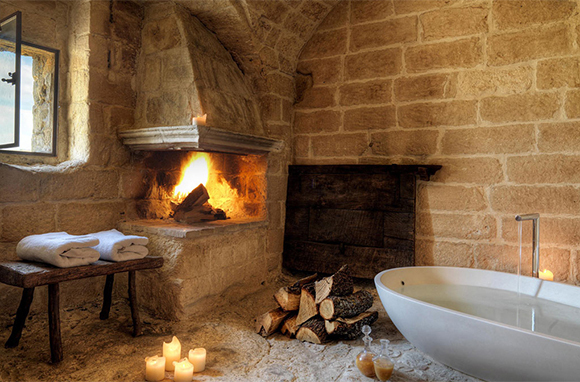 Now a restored part of the town's UNESCO World Heritage site, the hotel's 18 boutique cave rooms are outfitted with modern minimalist furnishings, including gorgeous bathtubs near fireplaces and beneath carved stone walls and vaulted archways. Great in Summer: Tour the city's Byzantine Empire churches that are dug into the rock. 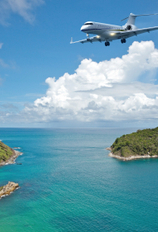 Hiking and biking tours take you to nature reserves filled with wildlife and the ruins of ancient villages. 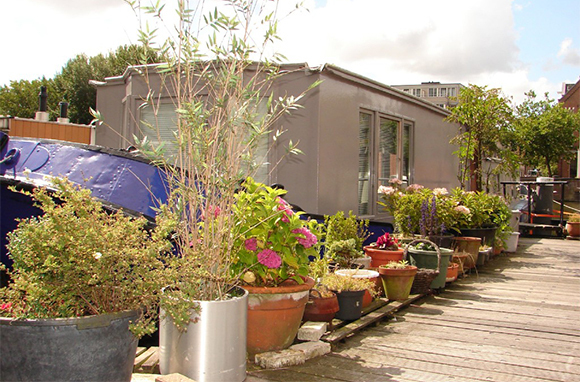 What We Love: Walk the docks next to Amsterdam's renowned canals and you'll find a floating neighborhood of houseboats. Docks replace sidewalks, and instead of grass or shrubs near each residence's entrance, dozens of potted plants create a homey feel. Stay in "The Ambulatory," a historic, restored houseboat, and spend afternoons on the sunny terrace watching ships pass by. At night, gentle rocking will lull you to sleep. Leave the car behind. You can arrive by train, walk 10 minutes to the houseboat, and rent a bicycle a few blocks away. When you want to go for a canal cruise, the owner will take you on his antique boat. Great in Summer: On the canals, you'll see stunning gabled houses and mansions with blooming gardens that you can tour during Open Garden Days in June. At the Grachtenfestival in August, catch one of several classical music performances along the canal or on a floating podium. 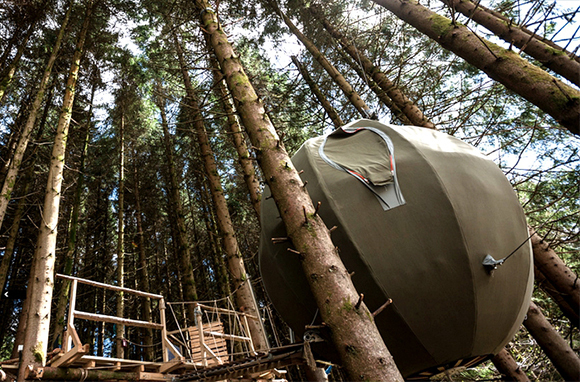 What We Love: This middle-of-the-forest tree-house tent with an ingenious rigging system is like something you'd read about in The Hunger Games. While the outside has a post-apocalyptic utilitarian feel, the inside is luxurious, with a log-burning stove and a double bed that converts into a couch. Charge your electronics at the desk's power outlet and change the mood by dimming the lights. There's a flushable toilet, sink, and gas-powered shower outside the tent. After a day of exploring the vast woods, you can watch the sun set as you sit around the fire pit built into a deck near the stream. Great in Summer: Here, about three hours from Manchester and four hours from London, you can find a break in the trees and stargaze in the dark sky. Go on a foraging course, spend a day at the falconry, or rent a bike and ride to the town of Rhayader. What We Love: Here's a small castle that you can actually sleep in, complete with turrets, battlements, and a lattice gate. Light streams through leaded glass windows in bedrooms wallpapered in toile patterns. Stately leather furniture sits on rich red carpet in front of a wood-burning fireplace flanked by chiseled-stone walls. Summer is gorgeous on the 3.5 acres of manicured lawns and gardens at Bath Lodge Castle. 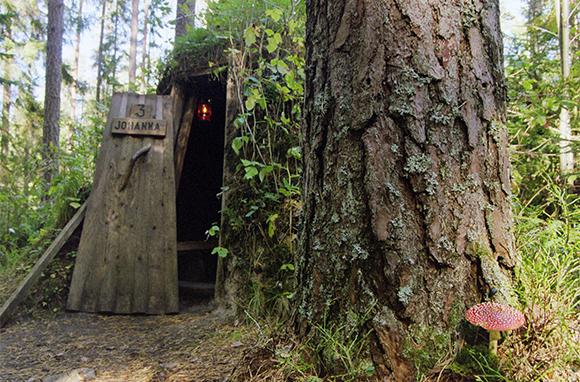 After a garden walk through the woodland, relax in the outdoor hot tub or sauna. Great in Summer: Get dressed up in an empire-waist gown and celebrate Bath's famous daughter at the Jane Austen Festival's Regency Costumed Summer Ball in June. Visit during the summer solstice, when visitors from around the world gather at nearby Stonehenge each year at dawn. This season is also ideal for taking open-air boat trips on River Avon, exploring the Bath Abbey, and visiting the Roman Baths and Thermae Spa. What We Love: At this family-run organic farm and historic winery, you can reset your routine and savor a slower pace. 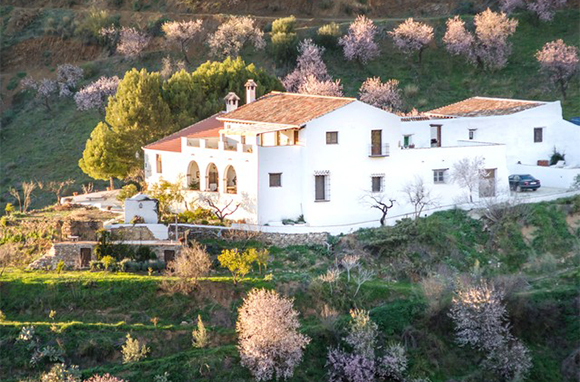 In a secluded valley 30 minutes from Malaga, you'll be surrounded by 16 acres with gardens, fruit trees, chickens, and sheep. A private chef incorporates the gardens' organic vegetables and edible flowers in his gourmet dishes, served in a formal dining room or on outdoor terraces with stunning views. The architectural elements and historical decor in the home are equally impressive. Great in Summer: After a day at the beach, sit down to fresh-caught barbecued sardines at one of the restaurants on the seaside promenade in Malaga. If you're here on July 16, you'll see the Virgen del Carmen procession and feast, during which the statue of the Virgin Mary, revered as the patron saint of fishermen, is paraded through the streets and down to a decorated boat that sets off across the bay. The annual Malaga Fair in August draws crowds of locals and visitors for dancing and drinking Malaga wine in the streets. What We Love: The original chalkboard still hangs in the kitchen of this cute converted schoolhouse in the Berkshires. Built in 1843, it's one of the oldest one-room schoolhouses in New England, and it's listed on the National Register of Historic Places. Sleep in the loft bedroom, then sip your morning coffee in an Adirondack chair on the patio, surrounded by a forest and a creek often visited by deer. Dogs are allowed, and the fenced yard is a great place for playing, sitting around the fire pit, or cooking burgers on the patio barbecue. Great in Summer: Catch an outdoor concert with the Boston Symphony Orchestra in nearby Tanglewood. Little galleries, theater festivals, and Bousquet Ski Area's waterslides and zip lines bring summer crowds. Farmers' markets take over parking lots throughout the Berkshires on weekend mornings. What We Love: The last stop for this late-1800s Northern Pacific railcar inn is a peaceful 13-acre spot tucked alongside the Yellowstone River, just an hour's drive from Yellowstone National Park. Antiques and Victorian-era pieces make this elegantly restored parlor car feel like a time capsule. You can sleep in a queen-sized walnut bed made in 1880 or in the original twin beds that were used when this railcar traversed the country. Sparkling chandeliers, a pressed-tin ceiling, and an Italian marble shower with brass fixtures add to the charm. Great in Summer: Your own private sandy beach stretches 1,000 feet along the river. Swim, fish, or simply sit on the train car's deck and take in views of the canyon between the Gallatin Range and the Absarokas. Huge herds of bison gather in Yellowstone's Hayden Valley and Lamar Valley during mating season in July and August. Chico Hot Springs is also nearby. 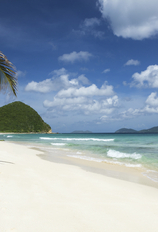 What We Love: Even if this is a lottery-win fantasy at $1,000 per night, we can't resist daydreaming. About halfway down the string of Florida Keys and a quarter mile offshore from Marathon Key is this private-island rental. For a price, the luxe life is all yours to borrow—the 5,000-square-foot luxury home, private pool, huge wraparound verandah, helicopter launchpad, and 25-foot skiff for cruising to the mainland on a whim. The tiny East Sister Rock Island is surrounded by a coral reef for snorkeling and is completely powered by wind and solar energy. Great in Summer: It's low season in the Keys, so you'll find discounts (check the Florida Keys tourism website) and you won't wrangle with crowds. Summer is the best time to hook a blue marlin, the state's granddaddy of game fish and the feisty star of Ernest Hemingway's The Old Man and the Sea. Visit in July to catch Hemingway Days in Key West, with a look-alike contest, special exhibits, and a marlin-fishing tournament. What We Love: If you really want to rough it, Kolarbyn, two hours west of Stockholm, puts you up in a traditional forest hut by the remote shore of Lake Skarsjon. There's no electricity or running water in this small collection of grass-mound huts, only candlelight, a bed, sheepskin rugs, and a fireplace. But in the absence of modern-day conveniences, you'll find solace in the silence and feel gratification in the simple task of splitting firewood or fetching water from the nearby spring. After preparing breakfast over an open fire, you can take a dip in the lake, set out in the wooden rowboat, or relax in the floating sauna. Great in Summer: Wake up to the sounds of the forest animals. Wolves live nearby, and you get a chance to spot them on a Kolarbyn wolf-howling tour. Other wildlife tours take you to see moose, beavers, and lynx.